2.4 Flightgear goes to space! We'd like to wish everyone a happy 2012! A new year with lots of exciting FlightGear developments in sight. Looking back at 2011, we can list a few events that deserve to be highlighted. and much more. Check out the newsletter archive for all highlights! On January 17, release branches will be created from our Git repository. That's basically the birth of a new release. From then on, no new features (and aircraft) can be pushed. Only bug fixes are accepted. Thanks to the branching, development for the next-next release (2.8.0?) can start right away; even before 2.6.0 is released. Until the release branches are created, changes to aircraft may still be pushed to the repository if it is guaranteed that this change does not affect any other aircraft or system and if no file outside the root directory of that specific aircraft is changed. Aircraft defined as part of the base package (e.g. the c172p) are already in the frozen state and shall not undergo major changes in this period. 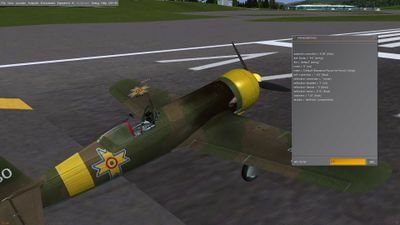 Some bug fixes and improvements require aircraft to be adapted/fixed to remain airworthy, to be working correctly, or to be taking full advantage of latest FlightGear version. This is why some developers now went ahead and created a check list including guide lines on maintaining aircraft, please see aircraft maintenance for more info. As you can see, development has been quite variable over time (generally a lot of development in the northern hemisphere winter), but core development (FlightGear is made up of the separate SimGear and FlightGear codebases) has been fairly constant since the start of the project. Another interesting observation is the massive increase in aircraft over the last couple of years, as shown by the amount of change to FGdata. As part of the ongoing work developing a haze and fog shader and improving the sky appearance, rendering of the high altitude environment is much improved. With the development version of the terrain-haze and skydome shaders and the visibility model in altitude provided by Local Weather, a seamless transition from low altitude to a near space environment up at 100 km altitude can be achieved. 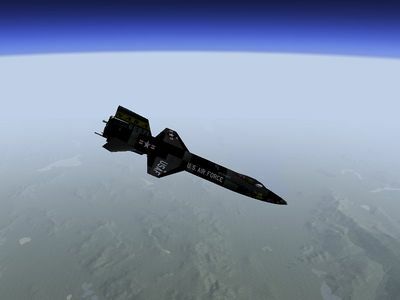 This allows for spectacular views from planes like the X-15 - here an X-15 has just completed the ballistic climb to 270.000 ft and falls back to Earth with stunning high-altitude views of Nevada and California. We have already combined all our model shader effects into one: light map, bump map and reflect map, and now we have added to ability to add a dirt effect over time (dirt map?). We call this the uber-shader. It also gives us the ability to have a good glass reflection with a scratched appearance, although this last effect needs a bit of fine tuning. At the same time, we've enhanced the shader controls. Users can now control (almost) every single shader through sliders. The Performance vs Quality slider in the View > Rendering Options dialog provides basic control. It does act slightly different than before, setting it all the way to the left (Performance) will disable all shaders. At the right most position, all shaders will be shown at maximum quality. Most shaders are simple on/off, but some of the more demanding shaders have intermediate steps. Powerfull graphics cards have no problem with the maximum quality setting, but most cards (even modern ones) need a finetuned setting to maintain reasonable framerates. You can change individual shader's settings in the Shader Options dialog, which can be reached via the button in the Rendering Options dialog. This is all in fgdata in Gitorious now - use --materials-file=materials-dds.xml and enjoy. A nVidia 8400 or its ATI equivalent should be sufficient to run these shaders with a recent driver. No update to source code is required. 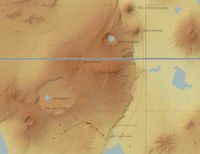 Some new terrain textures have been created, mostly based on USGS aerial imagery. The textures have a warmer, summer theme which fits better with some parts of the scenery. The material mappings are best used for Corine-enabled scenery, and the materials file works only for recent Git snapshots. However, the textures can be used with any materials file. All textures are GPLv2 so they can be freely distributed within the Flightgear repository. More info and screenshots in this forum thread. This is still work in progress, of course. 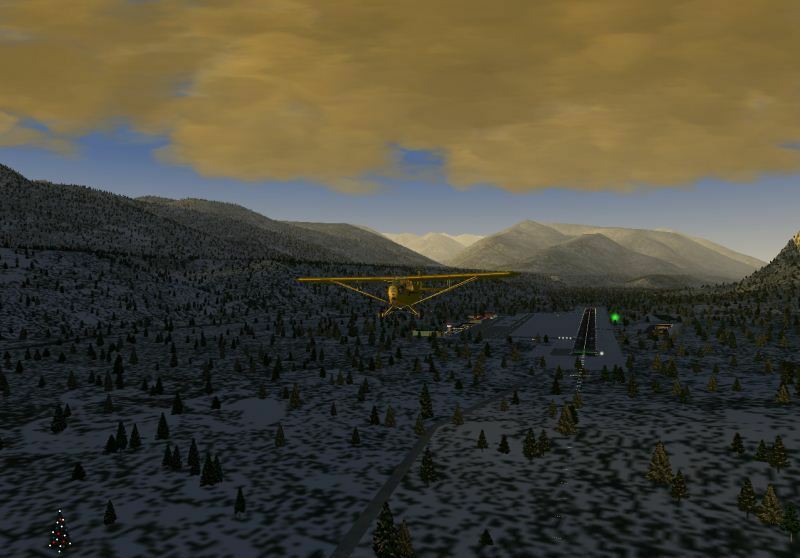 The FlightGear radio code has been recently overhauled, for more info please see Radio propagation. Some core developers have been thinking about ways to improve our random scenery, in particular buildings and vegetation. For more details see . There has been quite a lengthy discussion on optimizing FlightGear's 3D clouds even more, for more info please see:  and . 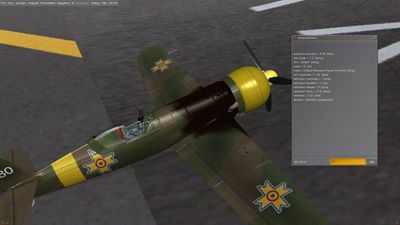 Erik has been working on implementing an FGFX class for AIModels and is pretty much done, a first stab at the sound code has been committed now. For more info see . A contest has been set up to create new banners and logos depicting the latest developments of FlightGear 2.4+ (these new banners and logos are specifically meant to demonstrate new capabilities of FlightGear 2.6.0). Everybody is invited to participate. See the forum thread for the latest submissions and send in your own ideas. I've been following FG closely since FlightGear 0.9.8. So, checking on the Wiki, this already dates back to... 2005! At first, I was using FG as a "casual" user, mainly contributing positions in my local area (Brittany) and especially the Brest area (cause I'm not that good at 3D modelling!). So I would say my major interest is in definitely in the scenery side of FG - and HHS choppers! This is HIGHLY confidential! But because Christmas is coming soon, I'll give you a small written preview on this early present! Still under development, I'm working on automated scripts to add/delete/update shared or static scenery objects/positions within FG, in order to ease the actual submission process, both for the user and the scenery maintainers. The tool to add unitary positions is now in production (see below)! I have at least a few months before all scripts are finished and under production, so I think when they're all done, I'll take some time to use them and add more objects positions into FG myself! I am especially happy to see the latest developments in FG, as the release plan and the many works going to make the scenery better: shaders, weather, and especially scenery which needs to be regenerated and enhance (have a look at the apt.dat 8.50 work in the forums, it's awesome!). FG is really becoming better and very much comparable to other sims. FG is relying on so many exciting parts: GIS, 3D modelling, database, web, network... and there are so many advanced technologies to implement (eg radio propagation early support)... it's amazing and there is no other software where all this is needed but flight sims. A real concentrate of technology! Apart from the fact that it is free and opensource, I would say that its central scenery database and mapserver is one of its major features, compared to other flight sims where you have to download here, download there, add patches, etc... what a mess it becomes on your hard drive after a few years of addons! Not at all, contributing to scenery object positions is for instance very easy (it'll be even easier after my script goes in production ;-). So everyone should be able to contribute to FG (in a proper manner), that's the way to success! I've been talking about it in my job, so show its quality, even sometimes compared to professional ones I have seen there. I would definitely recommand a stronger relationship between FG and professional/educational worlds. For a few weeks, I've been working for around 3 to 4 hours per week developing scripts. It's been a while since I haven't been having a flight in FG! I hope sometimes we'll be able to add GPL-photorealistic pictures on top of actual layers. Looking forward to OSM-based roads scenery release too and multi-core support. 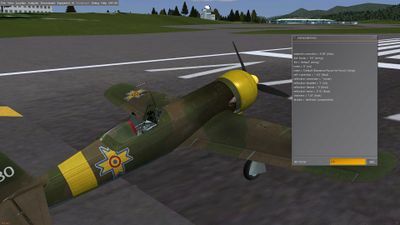 As many others, I regret the way some people ask for features like: "do this aircraft, I NEED it", or don't even have a look at the Wiki or forums archives to get an answer to their questions. Ask politely, try to understand the way FG community is organised, search for archives, don't pollute threads and everything will be better! The future of FG belongs to you: each of you can make it better, whatever your skills or interests are. So don't say: this is missing, try to add it or ask the community what you can do for help! Stay tuned for month's interview, featuring FlightGear core developer Durk Talsma. Every now and then, easy-to-install development snapshots are created. 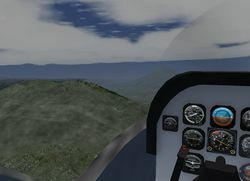 These snapshos depict a recent state of the development version of FlightGear. By using them users can test out features that will be included in the upcoming release. Testers are encouraged to file bugs at the issue tracker. 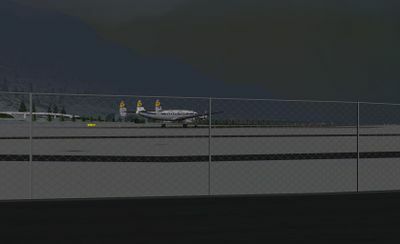 The Spain-Latinamerica's community Vive FlightGear! recently introduced the CASA C-101 Aviojet to FlightGear hangars. The Aviojet is a two-seat military turbofan trainer, designed and built in Spain, where it's used for jet training and aerobatics in the "Patrulla Aguila" team. It's also used in other countries like Chile, Honduras and Jordan, where it can enforce a light ground-attack role. This beta release has 3 versions (EB, BB & CC), each one with different engines and subtle differences. While BB and CC version can use a 30mm cannon, the EB version is capable to dust smoke for aerobatic shows. The Learjet 35-A has received another major update. She is not a sweet beast any more, she will bite when the pilot mistreats it. The sound configuration is completely different. The FDM is as real as the real thing according to the literature I could find. Even the fuel consumption is close to real as long as it flies. She has a new HUD only showing the controls so the pilot can focus on flying and the instruments. She has an accurate display for N1 and ITT. She is prepared for version 2.6.0., including the flight recorder. She is ready now for a though review. Have you got your Christmas present yet? If not the Polish Team has made custom scenery of most Poland territory. Major contributor is SP-MMA who generated terrain and created some objects. Feel free to download it (download soon on forum) and take your favorite plane. 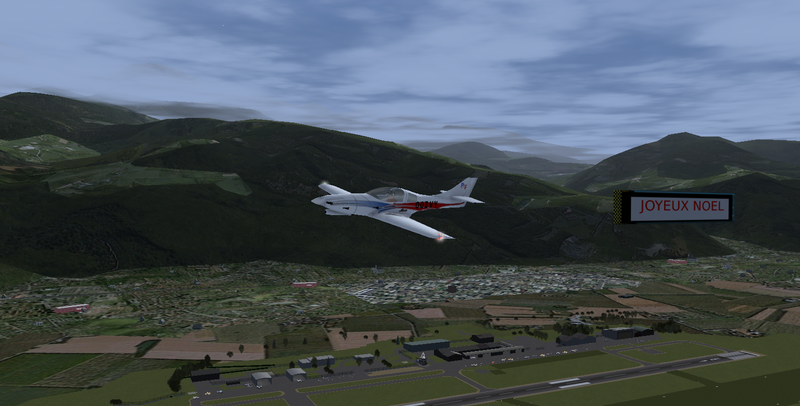 There are some really nice areas just perfect for long VFR routes! New custom built scenery has been made available for the region of Southwest Colorado, for more info please see: the mailinglist. This scenery, is sadly enough, not yet available with terrasync. You can download it from the Belgian scenery Git repo. Tip: If you want to make some EBAW-EHAM flight, copy the Objects/e000n50/e004n51 and Terrain/e000n50/e004n51 into the terrasync folder. Added on December 2011, 15th, a useful webtool to ease the insertion of shared models positions within the FlightGear scenery database. We hope this will make the number of positions increase! Place the object within FlightGear. Take the data and copy/paste it within the form (please double check the content of what you're inserting!). Add a small kind comment for Martin, telling him what you're doing. Give the captcha what it wants (sorry for this, but it's to avoid unwanted automated robots). Click submit and the request is done! The data is inserted in the database as soon as the reviewer has checked it. It may take a few days to see it appear through Terrasync. More improvements (mass import, edit, delete) are to come, so follow the forum thread if you're interested. December, cold, dark, snow. But also skiing, gluhwein and Santa Claus. It's time to go to Austria and visit Innsbruck Airport. Take along your skis. You will find amazing scenery here, made by Mother Nature and by the volunteers that have re-created the area. Read more about the current state of the development at the forum. 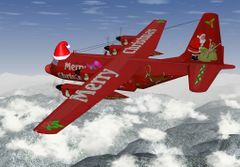 La Patrouille de France (PAF) wish you a joyeux noel (French for Merry Christmas) from their home base Grenoble Aerodrome (LFLG)! For this VFR trip we need a strong machine since we will go up from 4000 to about 10,000 feet and since we are in Africa, Tanzania, what better choice is there as the Cessna 208 Caravan, on wheels. We will take off from HTLM, Lake Manyara, runway 12 (124.5 deg), that has an elevation of 4150 feet. Hit Shift-B so we don't drop off the runway. Learjet 35-A is updated matching the true aircraft flight manual (with FlightGear limitations). 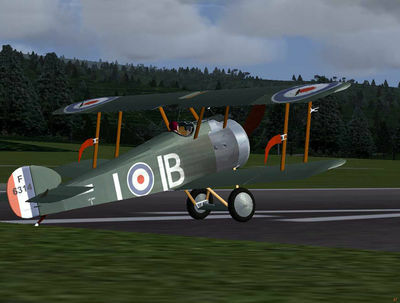 On the wiki it is one of the best described aircraft. Unique Features now contains a massive list of what makes FlightGear unique. The German Flughöhe article is close to complete matching the English version. Following up on last month's launch, the FlightGear page on Google+ welcomed its 100th follower! If you haven't done so already, please add us to your circle and stay up to date on the latest FlightGear news, cool screenshots and release info. 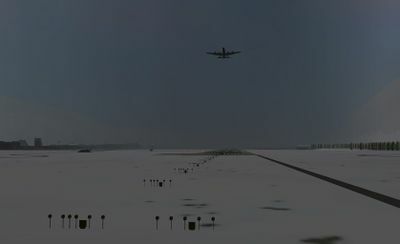 EmbedVideo was given an illegal value for the alignment parameter "winter video by planetacancun2 showing FlightGear's snow.". Valid values are "left", "center", or "right". EmbedVideo was given an illegal value for the alignment parameter "F-4E formation training at TFFG". Valid values are "left", "center", or "right". EmbedVideo was given an illegal value for the alignment parameter "Santa Claus doing a practice run for his big night in December.". Valid values are "left", "center", or "right". The headers on the forum have been replaced by some snow/christmas ones to give you the right winter feeling. Did you spot Santa already? You can turn on anti-aliasing in FlightGear? This page was last modified on 13 March 2016, at 06:40.